"I want to learn more about what Inbound Marketing is and how it can help my business grow." The term Inbound Marketing was originally coined by HubSpot Chief Executive, Brian Halligan, in 2005. It describes a marketing methodology which is all about bringing prospects to you, instead of trying to interrupt them and capture their attention. In a world where people have little time between nine and five to answer unsolicited phone calls and have now come to rely upon the web to research products and services which they are looking to purchase, inbound marketing is about creating useful content that is specifically designed to attract your potential customers. Content assets such as blogs, eBooks, whitepapers, infographics and case studies can all be used to attract attention and draw interested prospects to your website, where the first step is to gain their interest and educate them about your offerings. In today’s business world, prospects are often more than 50% of their way through the buying cycle before they are interested in talking to a salesperson. So inbound marketing caters for this by providing educational information to attract prospects and then converts them using carefully written and presented content, which shows the prospect that you understand their needs and can solve their business problems. Mechanisms such as organic search, carefully targeted pay-per-click advertising, social media and blogging will bring prospects to your website where they can be identified, nurtured and developed into leads which your sales team can then engage with. How does the Inbound Marketing methodology work? You attract your ideal prospects to your website through tailored, targeted content, which answers your prospects’ questions, helps to show them how to solve their business problems and demonstrates your understanding of their business. Once on your website, you will encourage your prospect to interact with you by offering them an asset of educational value. You use calls to action to convert them into sales enquiries – and you use landing pages to gather information about their business and the problems that they are looking to solve. In moving your prospects down the sales funnel, you need to nurture their interest by providing them with relevant information and educating them. This process is associated with lead scoring to allow you to understand those who are ready to engage. Lead scoring allows you to focus you precious sales resource. Once the sale is closed, the relationship with your customer is only just beginning. Marketing automation tools allow you to automate the process of regular customer contact to support your customer service and delight your customers. Happy customers like to share their successful relationships. 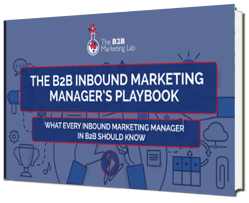 Our download takes a deep dive into the world of being an Inbound Marketing Manager, and what to expect on a day to day basis! What's involved within a full Inbound Marketing Campaign? 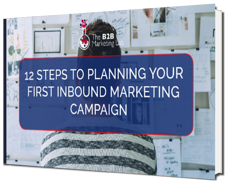 Our eBook provides 12 steps which you should follow to ensure a successful campaign launch!